Manchester United currently occupy the zenith of the Premier league log after two impressive outings against West Ham United and Swansea City, and you’d expect Jose Mourinho to stick with the same team when they lock horns with the Foxes this weekend at Old Trafford. While United are currently basking in the ambiance of a new striker signing in Zlatan Ibrahimovic, Jose Mourinho has delivered a positive injury update ahead of the crunch tie – Ashley Young, Luke Shaw and Marcos Rojo are all back on their feet running but it is the former who is closer to first team action, as revealed by Mourinho on Man United official website. Shaw and Young have been on the recovery pane since picking up injuries in April. They were not part of the pre-season tour of United even though they traveled with team but after returning to full training, the pair have been building up their fitness level with the B team of the Red Devils. They starred for about an hour for Ricky Sbragia’s side in a 1 – 1 draw against the B team of Swansea at Leigh Sports Village. 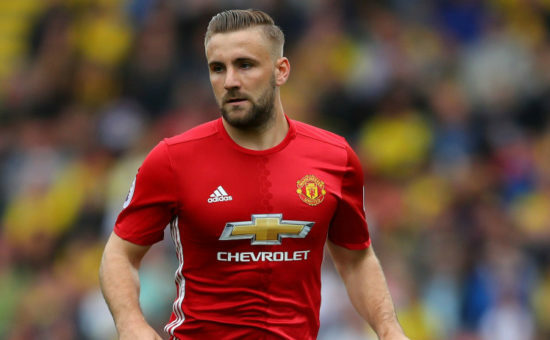 Even when they become fit to play, Shaw and Young may not get a starting berth in the team of Mourinho as there is massive competition for places in the squad. Blind has been impressive at left back while Young is certain to play second fiddle to Valencia or Rashford in the right back or attacking position. Among the returnees, Rojo may not star for United for the first half of this season as he is not ahead of his scheduled December return date.